JERUSALEM (JTA) — The Israeli army began moving infantry units to the south and calling up reservists in preparation for a further escalation of hostilities with Hamas after an Israeli airstrike killed Hamas’ military chief in the strip. Following the strike, the Israel Defense Forces bombed about 20 underground launch sites and ammunition warehouses in the Gaza Strip that had been identified by Israeli military intelligence, the Israel Defense Forces said. Military sources said the sites had been located over several months and many were in civilian areas. Eight Palestinians — militants and civilians — reportedly have been killed in the Israeli strikes and 30 have been wounded. The IDF said that the assassination and strikes on terrorists’ long-range missile capabilities are the start of Operation Cloud Pillar against Gaza terrorists. Israeli residents near the border areas were instructed to remain in bomb shelters until further notice. School was canceled for Thursday in southern Israeli communities located up to 25 miles from the Gaza border. More than 50 rockets have been fired from Gaza at Israel since the assassination, damaging cars and sending dozens into shock. Three rockets were aimed at Dimona, the site of a nuclear plant. Thirteen of the rockets fired at Beersheva reportedly were intercepted by the Iron Dome anti-missile system. Israel also mobilized several infantry units and called up reserve troops. Israel last entered Gaza with ground troops during the monthlong Gaza war that began in December 2008. The strike came after four days of rocket fire from Gaza terrorist groups on southern Israel. 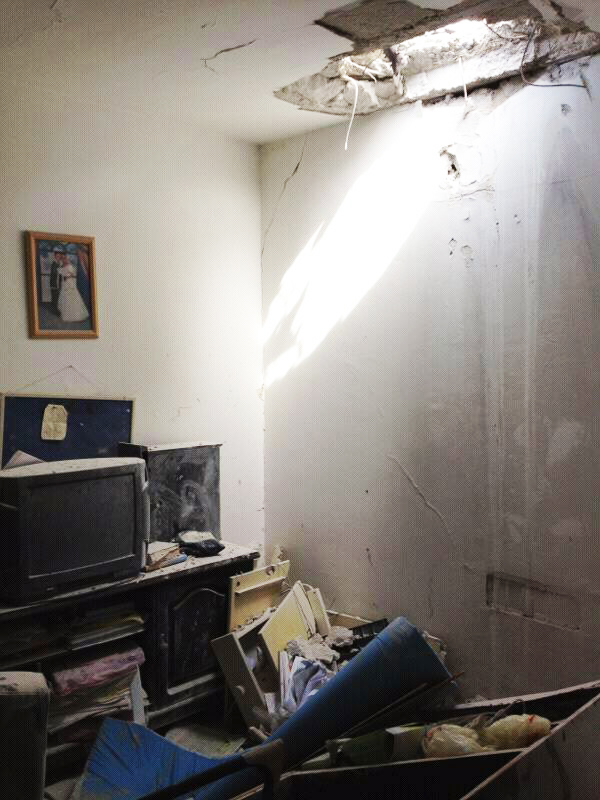 More than 150 rockets are reported to have been fired from Gaza, causing damage to homes and factories. 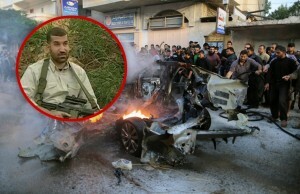 Jabari was directly responsible for carrying out terrorist attacks against Israel for the past several years, the IDF said. He was filmed escorting captured Israeli soldier Gilad Shalit, who was held hostage in Gaza for more than five years, when he was handed over to Egypt last year on his way back to Israel. Defense Minister Ehud Barak told reporters Wednesday night that “Israel is not interested in engaging in war, but Hamas’ provocation in the past days has made it imperative that we act sharply and decisively.” He said the goals of the operation include strengthening the warning to Gaza terrorist groups to halt attacks on Israel, thwarting the rocket attacks and hurting the Hamas terror organization. Barak declared an “elevated level of preparedness” for the homefront area, representing a 25-mile radius around Gaza. Not long after Jabari was killed, Israeli President Shimon Peres called President Obama to update the newly re-elected U.S. leader on the situation. JERUSALEM (JTA) — More than 70 rockets and mortar shells fired from Gaza have hit southern Israel in the last 24 hours, striking several homes and injuring three. Four Palestinians have been killed in Israeli strikes on Gaza sites that the Israeli military said are used for launching rockets at Israel. The Palestinian Ma’an news agency has identified the dead as members of organizations that are considered terrorist by Israel and the United States. Between late Tuesday night and late Wednesday morning, the Israeli airstrikes hit four of what the Israel Defense Forces said were rocket-launching sites, as well as a tunnel used for smuggling terrorists into Israel, according to statements issued by the IDF. In two radio interviews, Defense Minister Ehud Barak did not rule out sending tanks and troops into Gaza to quell the attacks. The rockets and mortar shells began falling on southern Israeli communities late Tuesday night and continued through the next day. At least five private homes were hit directly. Three Thai workers were injured, two of them seriously. The Iron Dome missile defense system intercepted seven rockets aimed at Ashkelon. Schools have been closed in much of southern Israel, with the Home Front Command telling residents living within 10 miles of Gaza to remain near bomb shelters. 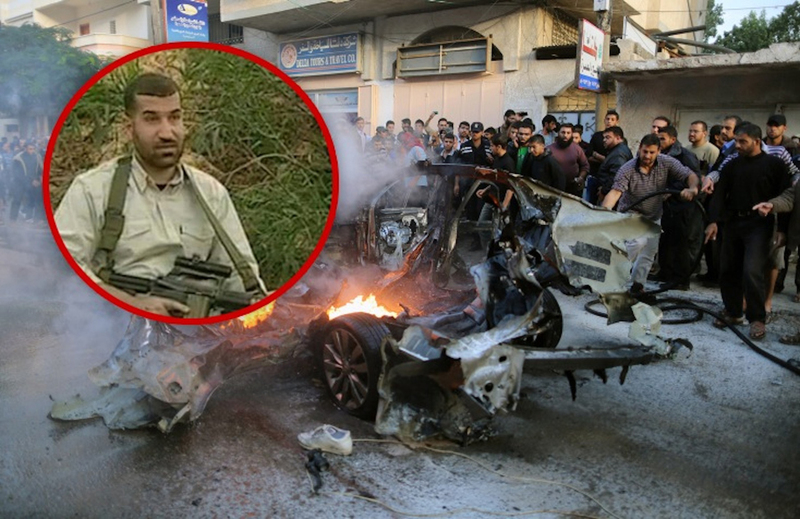 Hamas’ military wing, the Al-Qassam Brigades, and the Popular Resistance Committees both have claimed responsibility for the rockets. The escalation on Israel’s southern border follows a border attack Tuesday on an Israeli patrol near the security fence with Gaza that seriously injured an Israeli soldier. JERUSALEM (JTA) — Israeli Prime Minister Benjamin Netanyahu announced early national elections. In a news conference Tuesday evening, Netanyahu announced that elections for the 19th Knesset will take place about eight months early. Though a date has not yet been announced, it is expected that the vote will be held in early 2013, most likely in February. Elections were originally scheduled for October 2013. A February election will be four years since the last Knesset election. The Knesset will return on Oct. 15, after which the government likely will pass a resolution to dissolve. Netanyahu held meetings last week and on Tuesday with the heads of the other parties in his government coalition to decide whether to work to pass the 2013 budget or go to early elections. If the government cannot agree on a budget, it is grounds to go to elections. Going to elections without an approved budget means the ministries will operate on the 2012 budget allocations. A new budget would have seen deep cuts in many ministries. In a statement issued Tuesday evening, Netanyahu said: “Today, I finished a round of consultations with the heads of the coalition parties and I came to the conclusion that it is not possible at this time to pass a responsible budget. We are on the threshold of an election year and, to my regret, in an election year it is difficult for parties to place the national interest ahead of the party interest. The result of this is liable to be a budgetary breach and a massive increase in the deficit, which would very quickly put us in the situation of the crumbling economies of Europe. I will not allow this to happen here. “At this time, in light of the two great upheavals around us, the security and the economic, my obligation as prime minister is to put the national interest above everything and therefore, I have decided that the good of the State of Israel requires going to elections now, as soon as possible,” Netanyahu said. “The country has actually been in election mode for over six months, which is unhealthy and should be stopped as soon as possible,” opposition Labor Party head Shelly Yachimovich said. “The public must remember that Netanyahu is going to elections in order to immediately afterward, pass a brutal and difficult budget that will harm the life of almost every citizen in the country, except for the very wealthy,” she told reporters. ST. LOUIS (JTA) — Meet 22-year-old Jeremy Moskowitz, the poster child for what Hillel hopes will be a revolution in campus Jewish life. The catch: He didn’t spend much time at Hillel during his four years at Duke University. Moskowitz attended Jewish day school before college, but chose Duke in part because it was “less Jewish.” Once on campus, he stayed away from Hillel except for a few Shabbat dinners, instead throwing himself into Greek life as a leader of the AEPi chapter there. But a Hillel staffer challenged him to reach out to students uninvolved or little involved in Jewish life. By his senior year he had agreed to serve as a Hillel Peer Network engagement intern, a key role in the international campus organization’s thrust to use students not very involved in Hillel to reach other students not very involved with Hillel — with programs having little if any overt connection to Hillel. In Moskowitz’s case, this meant building his own 12-by-12 sukkah and inviting 28 people over for a meal, and hosting a Passover seder for 73 fellow students — Jews and non-Jews — in his backyard, not to mention cooking 80 or so matzah balls and creating his own hagaddah that included photos, jokes, traditional prayers and Mad Libs (Hillel provided kosher chicken and seder plates). “A friend called her mom after and said, ‘You’ll never guess where I just was. I was at a Passover seder,” Moskowitz says with a grin while taking a break from last week’s Hillel Institute, a gathering at Washington University here of about 1,000 Hillel professionals, student leaders and guests. For Moskowitz, the conference was the star of a post-graduation yearlong stint as the Bronfman fellow at Hillel’s Schusterman International Center, the operation’s headquarters in Washington, where he will serve as an assistant to Hillel President Wayne Firestone, learning the ins and outs of running a high-profile international organization based in the nation’s capital. For the wider Hillel movement, the gathering in St. Louis served as a rollout venue for a new five-year strategic plan that the organization’s board approved in May. The plan, pushed by Firestone, looks to build on the work of Moskowitz and the other 1,200 peer outreach interns on 118 campuses — and moves further away from the traditional model of focusing primarily on improving programming inside the walls of campus Hillels for the most Jewishly engaged students. It has an ambitious mandate: The 800-plus Hillel professionals active to varying degrees on more than 500 campuses are now supposed to “engage” 70 percent of identified campus Jewish students, having “meaningful” interactions with 40 percent of them and turn 20 percent of them into Jewish leaders. “Jews are leaders all over campus, but we had to come back to teach them about what it means to be Jewish,” says the low-key Firestone, who can rattle off statistics one moment while retelling stories of a student’s profound shift in Jewish identity the next. The goal is being implemented by retraining staff, putting senior Jewish educators on some key campuses, putting Israeli shlichim, or envoys, on others and injecting a mantra of engagement into all things Hillel. Costs for the effort remain elusive, and privately some staffers worry about the new thrust sapping resources from existing programs as well as how their results will be measured. Nonetheless, it is taking root and Hillel has reams of statistics, studies and plans that it says shows the push is worthwhile. Some in the Jewish world are taking note. Rabbi Rick Jacobs, president of the Union for Reform Judaism, spent two days at the conference in St. Louis to study how the engagement effort could help his movement. Also taking notice is the University of Toronto. Hillel’s Ask Big Questions initiative has been adapted campus-wide by the university’s president, David Naylor. The push fosters conversations around “practical and existential topics” such as politics, social change, biology and God. Launched last year on 13 campuses, the initiative has involved 72 fellows building relationships with 3,574 students, according to Hillel. The engagement agenda began in earnest in 2008 when the Jim Joseph Foundation gave Hillel $10.7 million that was used in part to create 10 senior Jewish educator positions on various campuses. They set to work with 12 campus entrepreneur interns — students whose goal was to speak one on one with their peers about where they might fit into Jewish life offerings on campus. By Hillel’s calculations, those educators and interns took part in a combined 746 personal encounters with students in one year. About a third of the students said they never or rarely went to the Hillel building. To figure out how to push forward with its new vision, Hillel hired the Monitor Institute, the consulting firm that helped Teach for America plot a blueprint for achieving its goals. Even with a well-researched plan, implementation will not be easy — it requires recruiting, training and retaining staff, says Scott Brown, a Hillel executive vice president. Hillel directors who buy into the concept say the bottom line remains making students comfortable enough to talk about their emerging identities as young adults. That’s what Rabbi Danya Ruttenberg says is her focus as the supervisor of the Northwestern University Hillel’s Campus Rabbi & Questions That Matter program and the previous three years as the senior Jewish educator at the Hillel at Tufts University. WASHINGTON (JTA) — Anointing Paul Ryan as his running mate, Mitt Romney attached a name and face to his fiscal policy. Jewish Republicans, including the House majority leader, say they are thrilled with Wisconsin’s Ryan emerging as the ticket’s fresh face, hailing the lawmaker as a thoughtful and creative budget guru bent on taming out-of-control federal spending. Ryan’s name is well known to Jewish community leaders who have been grappling with the Republicans’ chief budget shaper since the party retook the majority in the U.S. House of Representatives in 2010. It’s just not one they’re happy pronouncing. The Washington groups that deal with budget policy have had many interactions with Ryan, who as chairman of the House Budget Committee authors Congress’ proposed budget. They have not been happy ones, although speaking on background, the first thing Ryan’s Jewish and Democratic interlocutors emphasize is that he is as affable and gracious one on one as he appears to be in public. But Jewish groups see Ryan’s plan threatening Medicare and Medicaid, programs that are cornerstones of care for the Jewish elderly — a population growing faster than among most other religious and ethnic groups. “The Republicans can write off Florida, or at least its Jewish vote,” said one organizational insider who has a strong working relationship with both parties. Jewish Democrats made it clear that they were ready to seize the moment. “Ryan’s signature budget plan drew the profound concern and even ire of many in the American Jewish community because of its plans to end Medicare as we know it, slash vital social safety net programs, and increase the burden on seniors, the middle class and the poor — yet Romney today proudly hitched his horse to Ryan’s dangerous plan,” the National Jewish Democratic Council said Saturday after Romney, the presumptive GOP presidential candidate, announced his pick. Ryan and his defenders argue that his proposals will drive down costs by spurring competitive pricing and save popular entitlement programs from eventual bankruptcy. Outside of his leadership on budget issues, Ryan, 42, has not been preeminent in many of the areas that traditionally have attracted Jewish organizational interest. Elected in 1998, he visited Israel in 2005 on a trip organized by the American Israel Education Foundation, an affiliate of the American Israel Public Affairs Committee. Along with Rep. Kevin McCarthy (R-Calif.), he has joined Rep. Eric Cantor (R-Va.), the House majority leader, as the “young guns” heralding a more robustly conservative Republican Party, one that appeals more to the Tea Party insurgents who fueled the Republican takeover of the House in 2010. Cantor has often pointed out the diversity embodied by the trio — Cantor is a Southeastern observant Jew, Ryan is a Midwestern Roman Catholic and McCarthy is a Western Protestant. Ryan has followed Cantor’s lead on foreign policy, co-sponsoring signature pieces of legislation that the majority leader initiated, most recently one that enhances security cooperation between the United States and Israel. “America has no better friend in the Middle East than the nation of Israel. Not only is Israel the region’s only fully functioning democracy, with a government based on popular consent and the rule of law, but it is also a valuable ally against Islamic extremism and terrorism,” Ryan says on his congressional page. William Kristol, the leading neoconservative thinker, was among those touting Ryan, although Politico reported that the campaign’s response was “sarcastic” when a reporter asked whether Kristol’s advocacy was a factor in the pick. Politico also reported that Dan Senor, Romney’s top Middle East adviser known for his close ties to the pro-Israel community, will be advising Ryan ahead of his convention speech in late August and his debate with Vice President Joe Biden, which is scheduled for Oct. 11 at Centre College in Kentucky. Ryan has not interacted extensively with the small Jewish community in Wisconsin, but those who have met him say he’s an eager student of the Middle East. Ryan still lives in his hometown, Janesville, in the southern part of Wisconsin. Its Jewish community is tiny but has two notable children: former Sen. Russ Feingold and his sister, Dena, the state’s first female rabbi. Ryan has backed cuts to the overall foreign assistance budget, although he favors funding at current levels for Israel. AIPAC and other pro-Israel groups generally are committed to maintaining foreign assistance funding overall, and not just for Israel. It is in the area of domestic spending that the clashes between Ryan and the Jewish organizational community has been evident. On the record, however, organizational criticism often does not often name Ryan because such groups do not want to make enemies or to seem partisan. But even absent names and party affiliation it can be scathing. In 2011, the Jewish Federations of North America and the Jewish Council for Public Affairs — the two leading policy umbrellas addressing economic issues — were blunt in a joint letter to Congress members slamming plans that originated with Ryan that would transition parts of Medicare, the medical program for the elderly, to a Medicare Exchange in which a variety of private plans would be made available. The plan also would convey funds for Medicaid, government-funded insurance for the poor, in block grants to the states. JFNA and JCPA objected to the loosening of federal controls over how such money is spent. As the budget debate has become more rancorous this year, the JFNA has opted out, although among other Jewish groups the criticism has become more pointed. Also featuring in the Jewish criticism of Ryan’s plans are his proposals to slash spending on assistance for the poor, including the Supplemental Nutrition Assistance Program, or SNAP, formerly known as food stamps. The Reform movement’s Religious Action Center has taken to naming Ryan in its broadsides against his budget. Ryan’s defenders note that much of his plan was shaped in coordination with Sen. Ron Wyden (D-Ore.), who happens to be Jewish — although Wyden now disavows much of the claim. Wyden notes that he joined Ryan in shaping the plan in part based on the understanding that it would keep intact President Obama’s Affordable Care Act, which Romney and Ryan have pledged to repeal. “If you repeal the Affordable Care Act, what Mr. Romney is saying is, he just wishes for the best,” Wyden told the Oregonian. Jewish community officials say that privatizing entitlement programs is more likely to drive up costs for individuals than it is to keep overall costs down. “A competition approach is not appropriate for people who are higher risk,” said Rachel Goldberg, the director of senior advocacy for B’nai B’rith International. Ryan’s plan, she said, would lure younger and healthier Medicare-eligible Americans into cheaper plans, which in turn would drive up costs for older and less healthy citizens. Ryan’s defenders note that Obama’s plan also incorporates cuts to Medicare. They argue that Ryan’s plan, broadening options for recipients, is the more efficient and the likelier to prevent further cuts. (JTA) — Trained by life in surmounting grief, Marika Weinberger focuses on the silver lining in the recent decision in Budapest not to try Hungarian war criminal Laszlo Csatary in connection with the murder of her nine uncles in 1941. Weinberger claims that Csatary, a former police officer who was arrested last month in Budapest, was responsible for deporting her uncles to a killing site in Ukraine. Yet prosecutors in Budapest last week dismissed her claims without ever speaking to her, raising concerns by Weinberger and others about the seriousness of the investigation. The Federation of Jewish Communities in Slovakia has called publicly for Csatary’s extradition to that country based on information it claims to have that points to Csatary taking property from Jews in Kosice, a city in eastern Slovakia. Those charges also are being investigated, says Martin Kornfeld, the federation’s CEO. Kornfeld adds that he has no indication that alleged acts of cruelty by Csatary to Jewish prisoners were being investigated. He notes that the acts were addressed in Csatary’s 1948 conviction in absentia by a Czechoslovakian court for torturing prisoners at Kosice. The office of Budapest’s chief prosecutor, Dr. Zsolt Grim, did not respond to interview requests for this article. According to Weinberger, her father told her that Csatary had organized the deportation of her mother’s nine brothers from Kosice on Aug. 19, 1941. Her testimony was part of the file that the Simon Wiesenthal Center had prepared on Csatary that led to his arrest last month. The center’s research implicates Csatary in the deportation of 300 people from Kosice in 1941 and another 15,700 in 1944. Csatary was arrested after London’s The Sun newspaper published an expose about him. Csatary had fled to Canada in 1949 after the Czech court sentenced him in absentia to death for war crimes. He returned to Hungary in the 1990s after Ottawa revoked his citizenship. Last week, the Budapest Prosecutor’s Office dismissed Weinberger’s testimony and dropped the charges from 1941, saying Csatary was not in Kosice at the time and lacked the rank to organize the transports. The Hungarian prosecution team is said to be continuing to probe allegations pertaining to the allegations from 1944. Weinberger, a former vice president of the Sydney Jewish Museum and a past president of the Australian Association of Jewish Holocaust Survivors and Descendants, stands by her story. According to Weinberger, her father found out that on Csatary’s orders, four of her uncles were recalled from forced labor to Kosice for deportation with her remaining five uncles and another 300 people. As the conversation progresses, the memories shake Weinberger’s determination to look at the glass as half full. Weinberger was deported to Auschwitz in 1944 along with other family members. Only she, her sister and an aunt survived the Holocaust. What is known is that in 1944, at the age of 29, Csatary owned a large house in one of Kosice’s most affluent neighborhoods — one that Kornfeld says was well beyond his salary at the police force. By the end of World War II, Kornfeld adds, Csatary also owned a foreign-made luxury car that few Czechs could afford. “Our opinion is that it looks like Csatary took a lot of money and/or property from Jews from Kosice and that this was [used as] part of his business in Canada,” where Csatary was an art dealer, Kornfeld says. The dismissal has Zuroff, director of the Simon Wiesenthal Center’s Israel office, facing challenges of his own related to the case. The charge, which is meant to discourage libelous complaints, carries a five-year prison sentence in Hungary. It is not uncharted territory for Zuroff. Last year, a Hungarian court summoned him to answer libel accusations leveled at him by Sandor Kepiro, a suspected war criminal whom Zuroff had exposed. 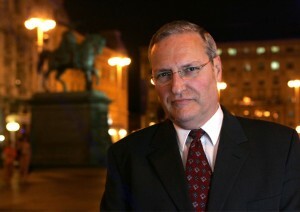 Zuroff was found not guilty; Kepiro stood trial in Hungary and was acquitted last year. The acquittal was appealed, but Kepiro died last September before the start of the new proceedings. Weinberger, following the developments from Sydney, continues to count her blessings. KEREM SHALOM BORDER CROSSING, Israel (JTA) — Drivers who reach the end of Israeli Route 232 purportedly face a choice: A sign points them either northwest, toward the Rafah border crossing between Egypt and the Gaza Strip, or southeast, toward the Nitzana border crossing between Egypt and Israel. But the intersection — located at the meeting point of Israel, Gaza and Egypt — is really a dead end; drivers cannot proceed in either direction. Rafah has been under Egyptian control since Israel’s disengagement from Gaza in 2005. And a year ago, Israel closed off the road that runs to Nitzana, along the country’s southern border. What drivers do meet at the end of the route is a simple red and white roadblock. To the left is the beginning of Israel’s security fence on the border of the Sinai Desert that is set to be completed this year. To the right is Israel’s Kerem Shalom border crossing with Gaza, which is closed to civilians. 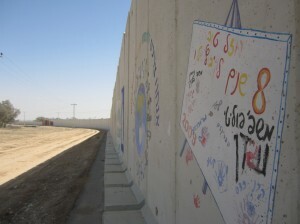 Next to that is a concrete wall separating Gaza and Israel. Litter dots the immediate area. The Israeli army has stepped up security in the area since Egypt’s revolution began last year, and Israel issued a travel warning this month regarding the Sinai. On Aug. 5, terrorists killed 16 Egyptian soldiers and crossed into Israel down the road from the Kerem Shalom crossing, where they were killed by Israeli security forces. Tami Muyal, 62, has been operating the truck for 12 years, including the past 3 1/2 years in this location. “There’s no way a soldier gets to me and leaves hungry or thirsty,” she said. From 6:30 a.m. to 4 p.m., Muyal offers soldiers anything from popsicles to baguette sandwiches at a discount or even for free, depending on how much cash they have on hand. She knows many of them by name. Muyal has moved her truck around Israel’s South, at one time stationing it in Gush Katif, Israel’s former settlement bloc in Gaza. “A sniper could hit me right here,” she said, pointing beneath her brown, curly hair at a slightly wrinkled forehead. Muyal doesn’t feel safe where she is on the Egyptian border, either. She says the border crossing has seemed abandoned, save for increased Israeli army traffic, since trouble began in the Sinai last year. She lives in the area, where she raised four children. While Muyal has inserted herself in the middle of the army’s activities, the nearby Kibbutz Kerem Shalom less than three miles away is striving to continue a normal routine despite the unrest across the border. The area was the site of the 2006 kidnapping of Israeli soldier Gilad Shalit by Hamas, the terrorist organization that governs Gaza. Now the concrete wall that divides Gaza and Israel surrounds two-thirds of the kibbutz. Bright murals cover parts of the wall, but most of it remains gray. Kissin said that five families had recently joined the kibbutz, bringing its total to 30. The collective nature of the kibbutz helps residents weather the attacks, Kissin says, but the true source of the community’s secure feeling comes from the military presence nearby. Kissin declined to give specifics on the Israel Defense Forces’ presence around Kerem Shalom, nor did the IDF provide details on its operations there. Muyal also says the IDF allows her to stay calm even while working at the intersection of two tense borders. WASHINGTON (JTA) — The U.S. State Department’s report on religious freedom described a “global increase” in anti-Semitism and said the “rising tide of anti-Semitism” was among the key trends of last year. The increased anti-Semitism was “manifested in Holocaust denial, glorification and relativism; conflating opposition to certain policies of Israel with blatant anti-Semitism; growing nationalistic movements that target ‘the other’; and traditional forms of anti-Semitism, such as conspiracy theories, acts of desecration and assault, ‘blood libel’ and cartoons demonizing Jews,” the summary said. It was not clear from the report how its authors assessed an “increase” in anti-Semitism. There was no overall quantification of the phenomenon, and individual country reports, while listing instances of official and societal anti-Semitism, did not compare rates to previous years’ reports. The emphasis on anti-Semitism reflects a policy initiated by Hannah Rosenthal, the current special envoy on anti-Semitism. Rosenthal has pressed for the incorporation of anti-Semitism monitoring into the department’s overall human rights reports, arguing that it increases awareness of the issue among U.S. diplomats. The George W. Bush administration, which expanded monitoring of anti-Semitism by creating the post of an envoy to combat anti-Semitism, kept its reports on the issue separate. Ukraine, where there were several instances of vandalism targeting Jewish buildings and cemeteries, as well as incitement by ultranationalist figures. Hungary, where the rise of an anti-Semitic political party was noted. Egypt, where anti-Semitic cartoons and articles persisted in government-run and opposition media after the revolution in early 2011 that ousted the regime of Hosni Mubarak. The country report on Israel said that “government policy contributed to the generally free practice of religion, although government discrimination against non-Jews and non-Orthodox streams of Judaism continued.” It noted that Christian missionaries were turned away at the airport in some instances and also noted the Interior Ministry’s refusal to recognize some U.S. converts to Judaism as Jews. “A minority of Jews in the country observes the Orthodox tradition, and the majority of Jewish citizens objected to exclusive Orthodox control over fundamental aspects of their personal lives,” the report said. It noted the practice on some public buses of segregating men from women. The Israeli Foreign Ministry had yet to formulate a response to the report, an official at the Israeli Embassy in Washington said Tuesday. Recording instances of societal discrimination, the report listed organized efforts to persuade Jewish businesses not to hire Arabs, as well as attacks by extremist settlers on mosques. It also noted extremist Muslim riots, including several instances in which rioters at the mosques overlooking the Western Wall stoned Jewish worshipers. (JTA) — While both took to the podiums in London this week to receive a medal, 18-year-old Aly Raisman’s Olympic star was rising as 36-year-old swimmer Jason Lezak’s appeared to be setting. Also, Raisman is favored to win the all-around individual competition on Thursday, as well as the floor exercise on Tuesday, when she will compete in the balance beam final. She and Gabby Douglas are representing the U.S. in the individual finals. Lezak, a four-time gold medalist likely competing in his last Olympics, helped the American men’s swimming team qualify for the 4×100-meter freestyle swimming finals. The team went on to finish second, receiving a silver medal — Lezak’s eighth medal overall in four Olympics. Lezak did not compete in the finals. Meanwhile, the Israeli delegation was experiencing its ups and downs early in the Games. On Tuesday, two Israeli medal hopefuls were faring well in windsurfing. Lee Korzits was in second place in the women’s eight-day long RS:X event while Shahar Tzuberi was in 10th in the men’s competition. The Israeli judo team was expected to do well after winning four medals in recent European matches, but judoka Alice Schlesinger was eliminated from competition early this week. Political differences between Israel and its Arab neighbors came to London when the Lebanese judo team refused to practice next to the Israeli team. The Lebanese even erected a makeshift barrier to split their gym into two halves, according to the Times of Israel. Meanwhile, even before the start of the Games, Iranian judo athlete Javad Mahjoob withdrew from the competition last week, citing “critical digestive system infection,” according to the Washington Post. That led to widespread speculation that Iran was maintaining a longstanding policy of not allowing its athletes to compete against Israelis. At the Games, the American swimmers led all the way in the men’s 4×100-meter relay until Yannick Agnel of France pulled ahead of Ryan Lochte in the final lap. France finished first in 3 minutes 9.93 seconds, ahead of the United States (3:10.38) and Russia (3:11.41). The French turned the tide on the Americans from four years ago in Beijing, when Lezak overtook the French world record-holder Alain Bernard in the final 25 meters despite being nearly a full body length behind him in the stretch. It was the fastest 100-meter freestyle split in history by nearly six-tenths of a second, and earned victory for the U.S. and kept alive Michael Phelps’ drive for a record-setting eight gold medals. Lezak, though he did not swim in the relay on Sunday night, had helped his teammates Lochte and Phelps qualify in the morning preliminaries. While he has not specifically said he would return for another Summer Games, Lezak, who was inducted into the National Jewish Hall of Fame in 2010, is the oldest member of the U.S. men’s swim team. “As the body gets older, sometimes the mind wants to go hard for a lot longer. But I’ve learned over the course of the last several years how many laps is enough, how many is too much,” he told the Los Angeles Times. Since his historic comeback at the Beijing Olympics, Lezak has participated in Israel’s Maccabiah Games, winning four gold medals, and taught swimming clinics for neighborhood kids at the Merage Jewish Community Center of Orange County in Southern California. He has two children and is an active member of Temple Isaiah in Newport Beach, Calif.
Raisman scored 15.300 in the floor exercise to win the event, performing her routine to a string-heavy version of “Hava Nagila” as she did on Sunday. Raisman also had performed to “Hava Nagila” when she gained a berth on the U.S. team last year. She is trained by Mihai and Sylvia Brestyan, the Romanian couple who coached the Israeli national team in the early 1990s. The coaches and her mother selected “Hava Nagila” after several exhaustive late-night online searches, they told JTA last year. Raisman is a recipient of the Pearl D. Mazor Outstanding Female Jewish High School Scholar-Athlete of the Year Award given out by the Jewish Sports Hall of Fame in New York. Other notable performances of Jewish athletes included U.S. fencer Timothy Morhouse, who lost to Italy’s Diego Occhiuzzi in the quarterfinals. In tennis, Israel’s Shahar Peer was eliminated by Russia’s Maria Sharapova, one of the top-ranked players in the world. Peer is winless against Sharapova in seven matches. In men’s gymnastics, Israel’s Alex Shatilov qualified for the finals of the floor exercise after finishing fourth overall. He also qualified for Wednesday’s all-around individual final, in which he finished 12th. In men’s rowing, David Banks of the U.S. team finished first in the preliminaries and qualified for the finals. WASHINGTON (JTA) — Rep. Michele Bachmann has incurred the wrath of leading Jewish groups and some Republican leaders, even though she may be one of Israel’s staunchest defenders in Congress and one of its best-known Republicans. The reaction was spurred by the Minnesota congresswoman’s call for an inquiry into allegations that Huma Abedin, a top aide to U.S. Secretary of State Hillary Clinton, had ties to the Muslim Brotherhood. His statement challenged Bachmann and the others who joined her in calling for an inquiry — Reps. Louie Gohmert (R-Texas), Trent Franks (R-Ariz.), Lynn Westmoreland (R-Ga.) and Tom Rooney (R-Fla.) — to put up or shut up. Ed Rollins, who managed Bachmann’s failed bid for the GOP presidential nomination, even called her attack “dishonest” in an Op-Ed for the Fox News Channel website. Clinton, Abedin’s boss, in her first comments addressing the issue on Monday, singled out Bachmann’s Republican critics for praise in an address announcing the release of her department’s annual report on religious freedom. Others among Republican leaders, however, rose to Bachmann’s defense. Newt Gingrich, the former House speaker who this year vied for the Republican presidential nomination, dubbed the lawmakers the “national security five” in an Op-Ed for Politico and said they were profiles in courage. Bachmann, who has said she is only seeking answers, is basing her questions mostly on the writings of Frank Gaffney, the president of the American Center for Security Policy and a top Pentagon official during the Reagan administration. Gaffney, who has made it his mission to expose what he says is creeping Islamism in the American establishment, has tied Abedin to the Muslim Brotherhood through second-hand citations that allege she has family members affiliated with the group. Abedin is married to former Rep. Anthony Weiner (D-N.Y.), who resigned last year in a sexting scandal. As a congressman, Weiner, who is Jewish, had close ties to conservative pro-Israel groups, including the Zionist Organization of America. Gaffney also has ties to conservative pro-Israel groups and websites, and Bachmann is a favorite of pro-Israel groups for her strident support for the country. She was a star at the 2011 American Israel Public Affairs Committee policy conference and in her youth spent a year in Israel working on a kibbutz. Abraham Foxman, the ADL’s national director, said such accusations gain traction as a tight presidential election nears. “As they get closer to the election and as the results look close, you see a lot more activity and some of the activity gets close to the line, if it doesn’t cross the line,” he said. Saperstein said Bachmann’s attacks were of a piece with depictions of Obama as a dangerous foreigner that he said were moving from the Republican margins to the mainstream. “I was bewildered that would come from him,” said Zogby, noting that Sununu, as an American of Palestinian descent, has weathered similar attacks. Foxman said citations of religious and ethnic origin were on the rise, and that neither party was immune. 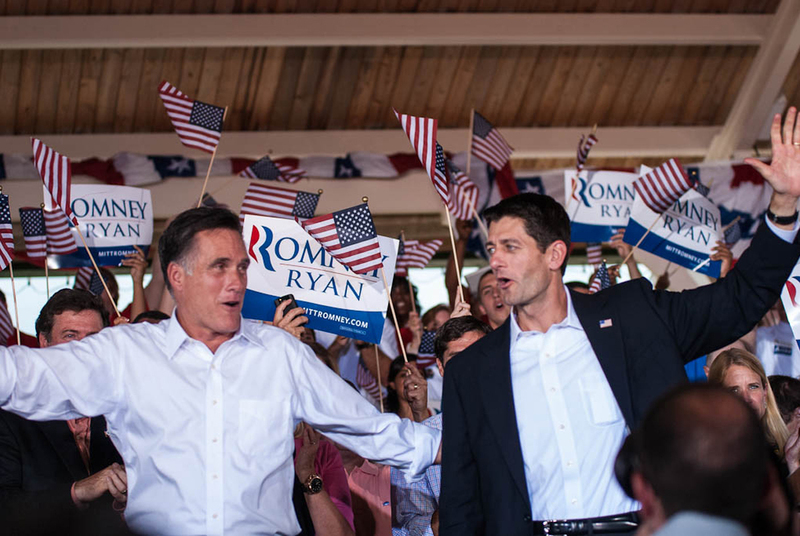 He cited attacks by some liberals and evangelicals on the Mormon beliefs of Romney. Rabbi Marc Schneier, a co-founder of the Foundation for Ethnic Understanding, which promotes Jewish-Muslim cooperation, said there was a utility in the escalation of the anti-Muslim rhetoric.